Based on the writings of martial arts legend Bruce Lee, Warrior is a new crime drama taking place in the 19th century during brutal gang wars in San Francisco’s Chinatown. The series follows Ah Sahm, a martial arts prodigy and a Chinese immigrant who becomes a hit man for one of Chinatown’s most powerful organized crime families. Based on the classic novel by Richard Wright, Native Son tells the story of Bigger Thomas, a young African-American living in Chicago who is hired as a chauffeur for affluent businessman Will Dalton. As Thomas enters this new world of money and power, he faces new choices and perilous circumstances promising to alter the course of his life forever. Created and executive produced by Emmy-winner Lena Waithe, The Chi is a drama series that centers on life in a neighbourhood on the South Side of Chicago. The focus is on a group of residents linked by coincidence but bonded by the need for connection and redemption. The film explores the people behind the headlines sensationalizing the South Side of Chicago and their collective yearning to overcome societal roadblocks. HBO’s most watched series and worldwide pop-culture phenomenon returns for its eighth and final season. For those unfamiliar, Game of Thrones chronicles a struggle for power in a vast and violent kingdom as various players battle for the throne. Worldwide hit movie Crazy Rich Asians comes to Crave. Rachel Chu, an NYU Economics professor, accompanies her boyfriend, Nick, to his best friend’s wedding in Singapore. She is thrust into the spotlight and a new world of family fortunes, jealous socialites and Nick’s disapproving mother as she learns Nick is the country’s most eligible bachelor. 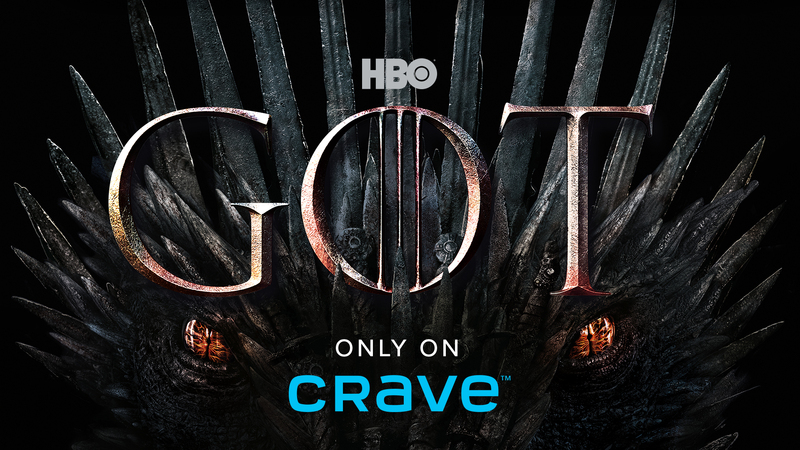 All new TV subscribers can enjoy Canada’s best TV package and the most popular premium content from HBO Canada, Showtime, STARZ, and Crave Originals — at no additional cost for 2 months – just in time for the premiere of the final season of Game of Thrones. Sign up today!